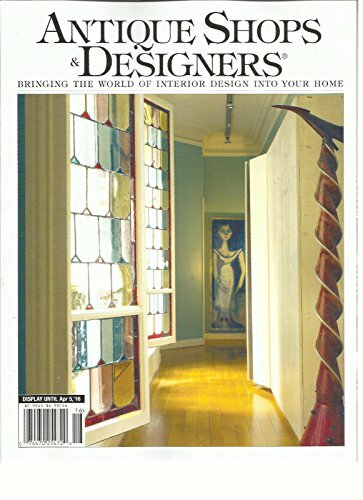 This auction is for the ISSUE, 2016 ISSUE OF ANTIQUE SHOPS & DESIGNERS MAGAZINE, 2016 Magazine. The magazine is fresh, We'll pick the best available copy for you!! All magazines come exactly as pictured, with NO address labels. Also, please visit our other auctions and online store. Purchase multiple items to combine shipping and save! !